A resume briefly reflects what a candidate can offer the company. Writing one can be very tedious and can bring so much pressure. You have to ensure that the way it is presented is systematic, appealing, and uses simple language. 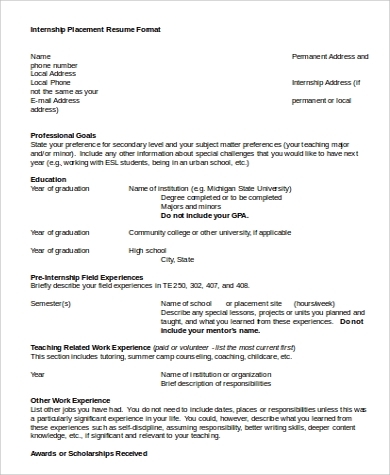 You also have to think about the appropriate layout, font, and how to present your credentials in a one- or two-page piece of paper. 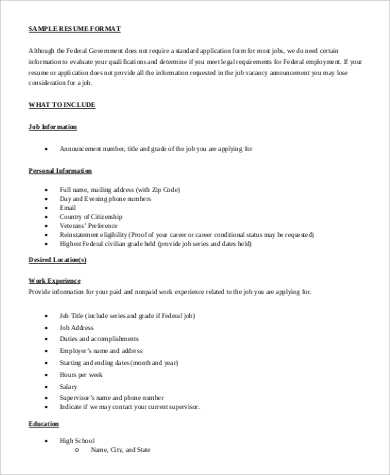 Our Sample Resumes are available for download in PDF and Word Document format and can be your ultimate guide in making your resume-writing convenient and make your resumes become outstanding. By downloading these templates, you are on your way to getting that job that you have always wanted. Start by writing your resume summary or objectives. You have to make sure to write an exceptional one that is sure to catch the hiring manager’s attention. Incorporate words from the job posting or job description of the position you are applying for. This shows the employer that you have the qualifications that they are looking for. 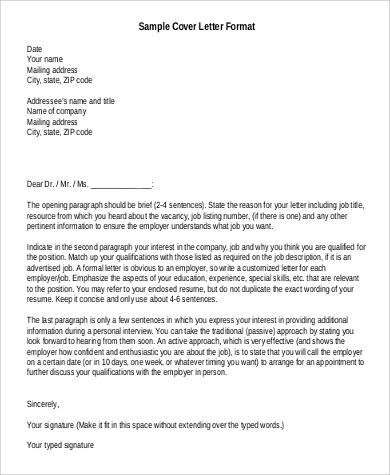 Be brief and concise with your resume. Use simple language and only include details that are relevant for the position you are applying for. 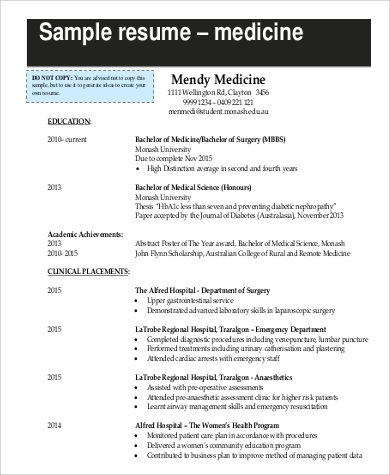 One or two pages is enough for a resume. Be honest with what you put on your resume and show your personality in it. This will help keep things interesting when the recruiter or hiring manager goes through your resume. Review your resume multiple times and always check for any errors and misspellings before sending it. 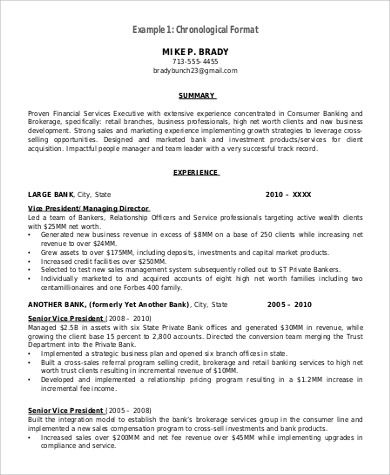 Who Can Use Format for Resume Samples? 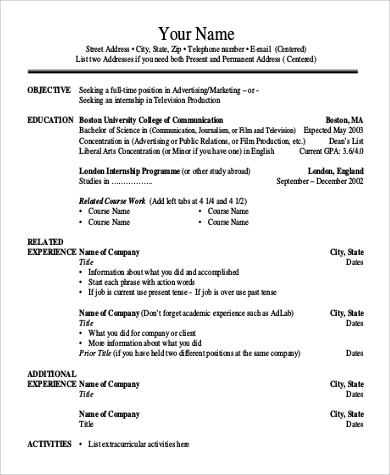 Anyone who needs to write resumes can use the templates featured in this article. 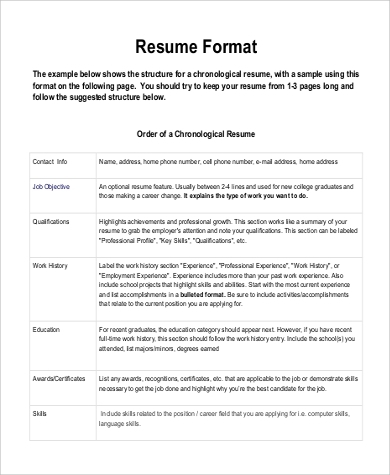 Whether it is your first or tenth time to write a resume, using the samples can help you save time because there’s no need to draft one from scratch. 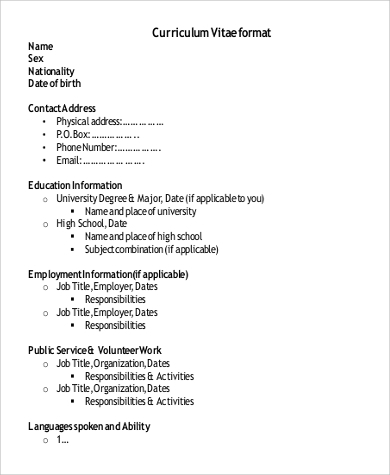 It can also help you decide what layout you can use for your resume. There is a wide variety of samples you can choose from so you are sure to find one that would best suit your preference or the position you are applying for. These will aid you in writing your own resume. These templates are highly accessible, so you can easily download these directly from this page. Just click on the Download button found at the bottom of the document you have chosen. They are available in Word and PDF format, which you can easily print or save to your device. 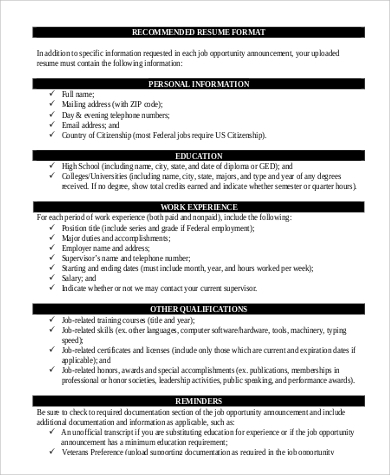 Want to make sure your resumes look their absolute best? 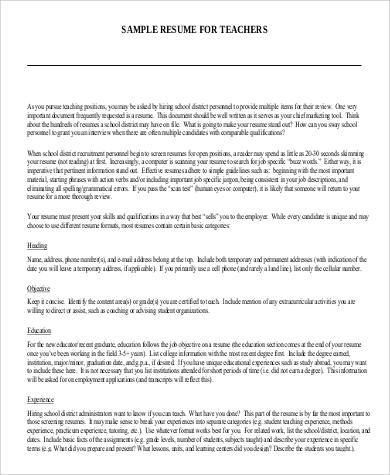 You should take a look at Best Format for Resumes for ideas.